Is there a convenient way to extract audio from a iTunes .m4v video and to convrt .m4v video to AAC audio? When it comes to extract audio track from iTunes M4V videos and convert the M4V videos to AAC formats, perhaps NoteBurner M4V Converter Plus is the first to spring to your mind. With NoteBurner M4V to AAC Converter, you can extract audio track from iTunes DRM protected videos and convert M4V to AAC for importing the audio to your iPod, MP3 Player and other music player easily. How to Convert iTunes M4V to AAC Audio Format? First, you should know that iTunes M4V videos are DRM protected so that you cannot convert it with common video converter. As it has been mentioned above, NoteBurner M4V to AAC Converter can help you remove DRM and extract AAC audio from iTunes M4V videos. This program is specially designed to convert iTunes DRM M4V videos. It can fast extract audio from iTunes M4V, thus to convert the M4V videos to AAC, MP3, VOB and other audio format for your portable devices like iPad, iPhone, iPod, ect. In addition, it can not only convert M4V to audio format, but to tons of other audio and video formats, such as MP4, MOV, AVI and FLV, ect. Formats: Convert iTunes DRM-ed M4V to multiple video & audio formats, such as AAC, MP3, MP4, MOV, ect. Strip: Extract audio from both iTunes DRM protected purchased and rented M4V videos. 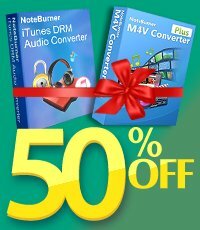 Launch NoteBurner M4V to AAC Converter, and iTunes will open with it automatically. Import the M4V rented and purchased videos by clicking the "Add Movies" button on the upper left and choose the video you need to convert in the pop up dialogue box. You can also directly drag and drop the video files to NoteBUrner interface to finish adding. 2. 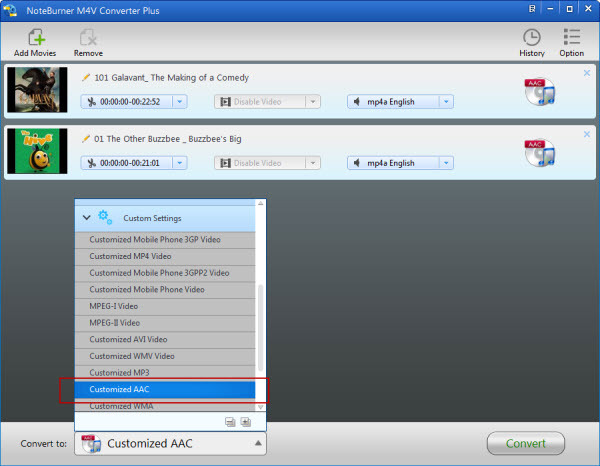 Set Output Format as"Customized AAC"
To extract AAC audio from iTunes M4V videos, please choose output format as "Customized AAC". You may find that you can also convert M4V to MP3, WMA, VOB, and more audio formats. Click the format logo in the end of each added movie list. 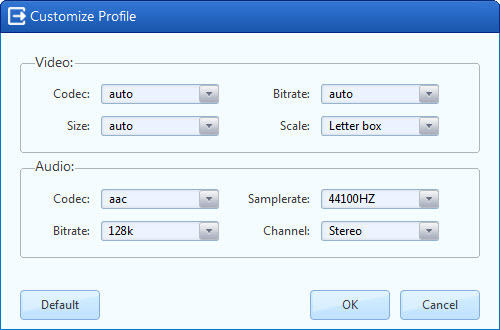 The following pop-up window would allow you customize audio codec, samplerate, bitrate and channel. 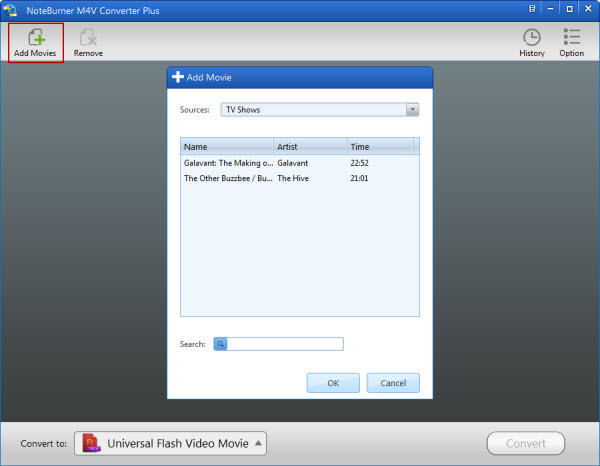 Click the "Convert" button to start converting M4V iTunes movies to AAC Format. After it is done, you can find the converted AAC audio, and transfer them to your devices for listening. Please note that there is also Mac version for you to convert DRM M4V to AAC on Mac OS X EI Capitan. You can learn more about NoteBurner DRM M4V to AAC for Mac here.